Welcome back to Academic Insights – the series where we meet distance learning tutors and get their tips for academic success. This time tutor Anne tells us about an important skill to develop if you want to be a successful distance learner: critical thinking! We interviewed Anne Wesemann about critical thinking. She's responsible for designing distance learning courses – so if anyone has the top tips for distance learning students, it's her! Scroll down to watch the video and hear what she has to say! To help you, take a look at the definitions of some key words from Anne's video in the Session Vocabulary box. 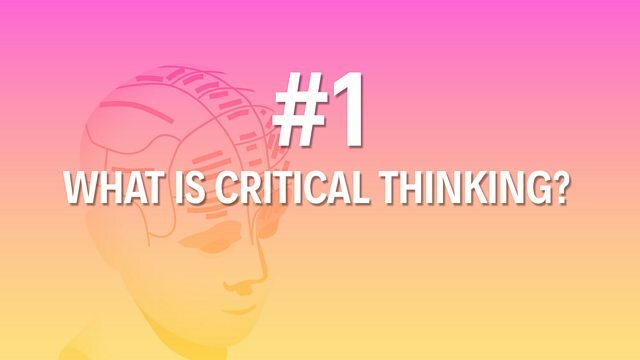 How to think critically: Anne answers your top questions in 3 minutes. My name is Anne Wesemann and I'm responsible for the design and production of distance learning courses. Critical thinking is the ability to take a piece of knowledge and analyse that piece of knowledge by its strengths and weaknesses, and then be able to assess how far that knowledge is useful or correct or valid. Without critical thinking, we would gain the knowledge as it stands, but we would never move on. We would never explore. Some students feel they're being disrespectful when they are critical of the work they're given. By pulling apart strengths and weaknesses they are showing their understanding of the subject area. Good critical thinking starts by not just believing what you're given, but reading around it. So a student can really show that they've grasped the subject area when they can rephrase these aspects, and be critical of them in the way that they combine the arguments in a different way: that they bring in new sources to show that they've read additional material. Sometimes students give us some sort of discussion between two sources. So they say, "Author A says this; author B says this," and they keep going like this. But what it doesn't give us is that it doesn't show us that the student has understood those arguments. So the second step is missing: the student's own input and their analysis of both arguments. Many non-native speakers take the expert opinion for granted and don't dare criticize it. Whereas actually, with their background, they can use that prior experience to criticise, and restructure, and rethink what they're given from their own experience. Critical thinking impacts grades hugely, because the student shows that they have taken in the knowledge they've been provided with; that they've worked with the material; and that they can add to that. Let's review the #7 things we've learned about critical thinking. Critical thinking is the ability to take a piece of knowledge and analyse it by its strengths and weaknesses, and assess how useful or correct it is. Without critical thinking we would be stuck! We would never move on from basic ideas and concepts. Don't be too afraid to be critical! By analysing information or opinions carefully, you are showing your understanding of your subject area. Don't just believe what you're given! Critical thinking starts with reading around, looking at different arguments and including these in your work. Don't just present other people's arguments in your assignments – show you have understood them by saying what you think with your input and analysis. Don't just take expert opinion for granted – make the most of prior experience to criticise, restructure and rethink what you learn on your course. Critical thinking is key to getting better grades – if you show you have understood what you're studying and can really add to it, you'll do well. 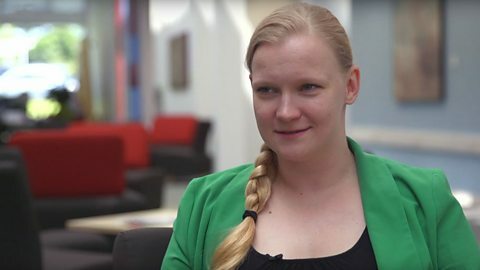 You can find out more about Anne and get more tips about critical thinking by visiting our partner The Open University. Click below to find out more.